One of the best ways to attract targeted new customers to your business website is through consistent blogging. How do you start a blog? We specialize in helping entrepreneurs and businesses of all sizes get started with blogging quickly and affordably. Lets talk about why YOU should start a blog for your business! Why is blogging so important for your business, you ask? Blogging is a lucrative & reliable source of targeted website traffic generation when itis done on a consistent basis (at least 3 blog posts scheduled through a week.) To be most effective it is a great strategy to plan a blogging schedule, like Monday, Wednesday and Friday for example. You can get even better results by blogging more often, but three blog posts a week is definitely the minimum. Google loves WordPress websites that have blogs that are updated on a regular basis. The more you blog for your business, the better results you will get… meaning increased traffic, which brings new customers, sales and ultimately increases your total annual revenue! If you truly desire to take your business to the next level, YOU need to START A BLOG! Whether you write the posts yourself, or outsource the task so you can focus on other priorities in your business… having a blog on your website and having content produced regularly will be one of the smartest business decisions you have ever made! Now we understand that there are free hosted options out there for blogging, such as Microsoft’s Blogger platform or WordPress.com. But there are three fatal flaws with these popular free hosted options when it comes to promoting your business. They do not integrate with your current website, so you don’t gain Search Engine Optimization benefits for your website. Even though you produced the content, you do not own the website it is hosted on. The provider does. These popular blogging platforms do not allow you to blog for commercial purposes. Your hard work will eventually be deleted for breaking their rules. 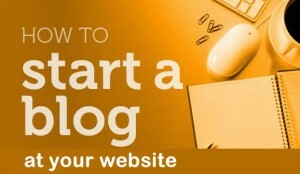 So don’t waste your time by starting a blog for your business at any free hosted blogging solutions. In order to benefit from your blogging, you NEED a blog built into your main business website. There are many businesses out there like yours that have a perfectly fine website, but do not have a blog set up yet. They are at a huge disadvantage to websites with blogs, as the only way that new content can be generated on these websites is by creating more pages. If your site falls in this category, your best available option is to have a professional convert your existing website to the self hosted WordPress blogging platform. This is usually a simple process that takes more or less time, dependent on how large your website is. If your website is relatively simple, it can be converted to WordPress in a short time… and with an improved look and feel! With WordPress you also have a major benefit in how user friendly it can be. Long gone are the days where you need your overpriced web designer to make every update to your site. A common misconception about a WordPress based website, is that the blog will have to be on the home page. This is not true at all! We can put your blog on any page of your website that you want. And you can maintain an uber professional home page that features all the important aspects of your business, that you need your customer to see. When you need certain functionality on your website, WordPress makes it much easier for us and less expensive for you to provide you with your needs. This is thanks to the robust and infinitely expandable potential made possible thanks to easily installed plug-ins. We make sure that you are able to benefit to the max from your newly made WordPress blogging website. We will not just build it for you and leave you in the dark about how to create new content. We will train you or one of your employees on how to manage your website on a daily basis. You have to be careful who you outsource to build your website, or convert your old site to WordPress. There are a lot of companies out therethat will overcharge you for their services. Even if your website is a relatively simple one. We are here to save you from those people and provide you with a website blogging solution that will easily fit your business budget. At the same time you have to be careful not to source someone who lacks the knowledge needed to get you set up properly. Many people who claim to be ‘web designers’ will try to make themselves available to fill your needs. But when you have the wrong person working on your website, they could very well leave you with a product has problems that don’t appear until later on. For example, poor permalink structure that could cost you valuable traffic, new customers and sales! We are here to help you avoid this pitfall, and will set you up with a website that works well for you in the long term. 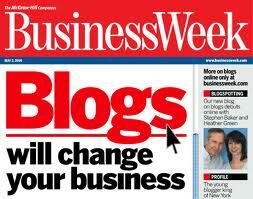 Our next post about blogging will cover content generation, that how it can pay dividends for your business. P.S. In the ‘new economy’ every business needs social media management. If you don’t have someone running your social media, you are bound to fall behind your competition and very possibly go out of business. We can provide you with the Social Media Management services that YOUR business needs to not only survive, but thrive in the 21st century! 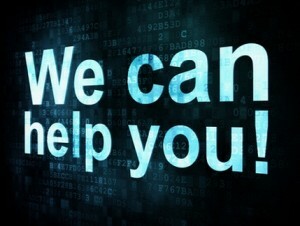 Social Media Management… The success of YOUR business depends on it!